Good luck in the final and the bronze game. DM3 was a good game, at least for me. 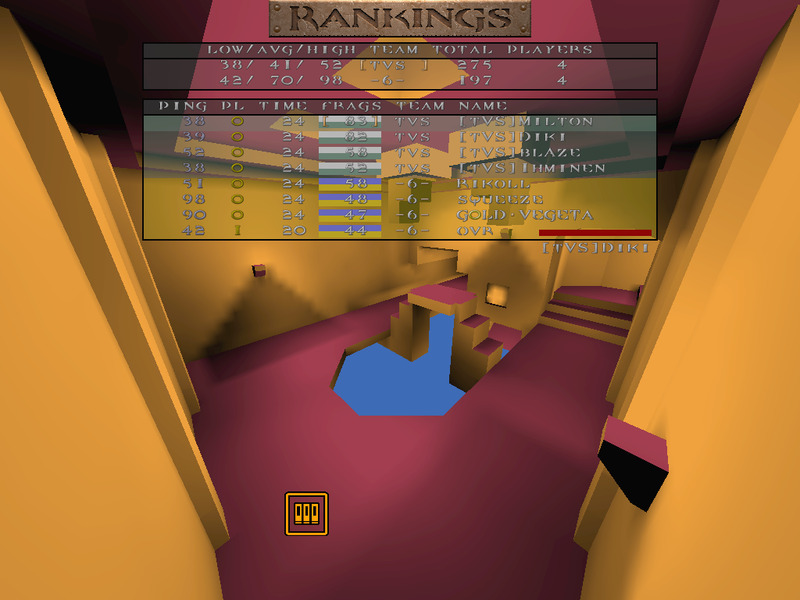 We didn't let them open a large gap on the scores, even with their nice control of powerups (17 quads, 3 pents). DM2 I didn't play, but it was nice to watch. They also had full start, like in DM3, and when we managed to control quad, Milton was sneaky and clever, going to the RL high area and did a really good move in taking the quad and killing all the enemy team. 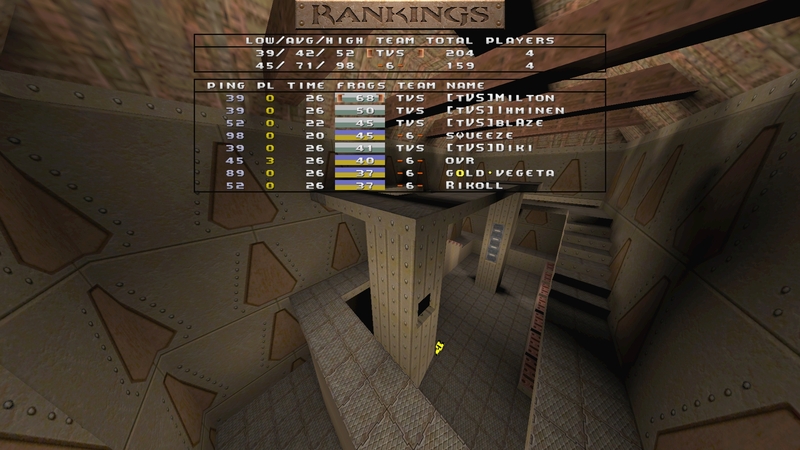 E1M2 was also nice, but the experience and skill from TVS was higher and we couldn't do much to revert the situation. Thanks for organizing everything Hooraytio and to all the others that made a contribution to this EQL happen. Thanks also to TVS and all the other teams that we played against, especially C88, which was playing pracs with us before this game. 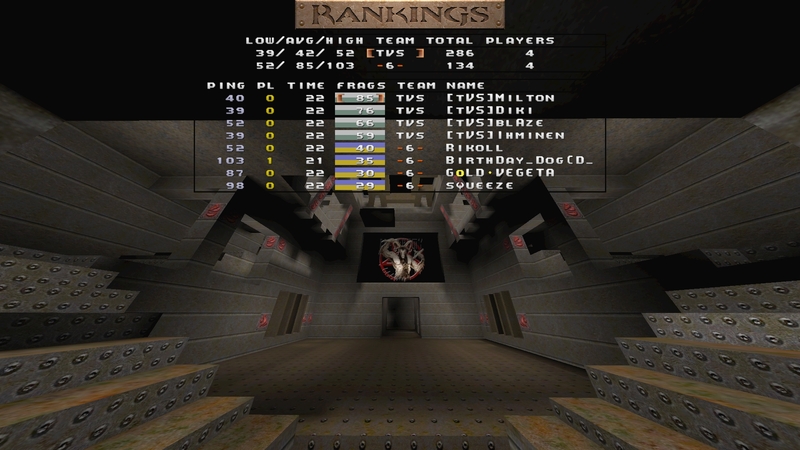 And last but very important, thanks to my team mates, vegeta, squeeze, blood_dog and rikoll. We had some good moments and especially lots of fun. Good luck on the finals for both TVS and SD.